What is Rosacea and can Rozex Gel help you to treat it? What is Rosacea, and does Rozex Gel will be able to remove it? Rosacea or Perioral Dermatitis is a skin disease on the face of a person, and mostly affected are people that over the age of 30 years old. But! Some of the young adult already experiencing the symptoms of Rosacea. The symptoms are visible easily, you will be able to see redness on your cheeks, forehead, chin, and nose. Also, in some cases some other people experienced a pimple and little bumps on their red parts of their face. For those who have Rosacea disease, the common cause of the redness are exposure to the heat of sunlight or even a little drink of wine or alcohol. What other causes of Rosacea? caused by a blood vessel abnormality. activation of molecules in the skin known as peptides. microscopic mites called demodex folliculorum. a bacteria found in the digestive system, helicobacter pylori bacteria. a genetic cause of the condition. No, if treated early. Also, yes, if not treated. Because of the inflammation and vascular reactivity, which will lead to erythema and papulopustules. Erythema is injury or irritation causing dilatation of the blood capillaries. While papulopustules is a severe condition of rosacea and acne. But don't freak out, it's not life threatening. The only problem is the irritation because of itchiness, and embarrassment because of the redness on your face. Some people might think you are blushing often or easily get blushed. There is no medicine that can cure Rosacea. But you can treat it with Rozex Gel to control the redness. Can Rozex Gel help you treat it? 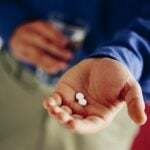 Yes, it can, because it can help you to control the symptoms and keep the disease from getting worse. 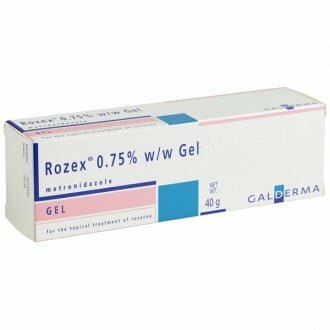 Does Rozex Gel safe with the pregnant? Yes, base of the experience of people we know and doctor's recommendation. Since the Rozex Gel applied externally, and not taken orally, such antibiotic pills. Can you apply Rozex Gel with cosmetic? Yes, but you have to apply the Rozex Gel and let it dry first before applying cosmetics. If you have decided to buy Rozex Gel for rosacea treatment​, below are the common directions how to apply gel. How to apply Rozex Gel? Wash and dry the affected areas of your skin. 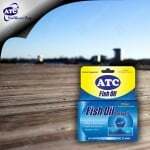 Apply a thin layer of the gel to all the affected areas. Rub the gel well in. Always put it back the cap and wash your hands after use. Rozex gel should be used in this way twice a day, morning and evening. Rozex gel should be used for three to four months to help clear up rosacea. If your rosacea has not fully cleared up in this time, another three to four-month treatment can be undertaken. You should always use Rozex gel for a minimum of three months to ensure you see the full effect. Please be advised, better consult with your doctors. The content is just my suggestion, opinions, research taken from the internet, and experience of my wife sister-in-law. I will not be held responsible or liable if something goes wrong.